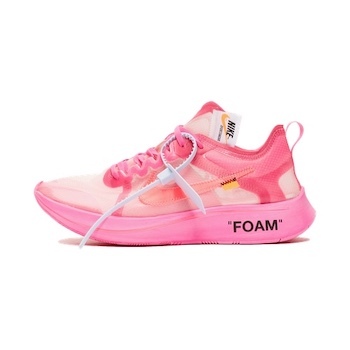 For the next instalment of the ‘The Ten’ treatments between Nike and Virgil Abloh, the Zoom Fly SP is taking centre stage with these two head-turning palettes. The first colourway features a semi-translucent Black upper, with a brighter touch given to the second release, which boasts a Tulip Pink makeup from front to back. Both shoes feature the trademark graphics and exposed stitching hits that we have come to expect from Off-White releases.